With 100 million Internet users, a developed tech community and a large pool of investors, the DACH region, which comprises Germany, Austria and Switzerland, is one of the fastest growing EU economic regions with a booming fintech sector. DACH is home to some of Europe’s most successful fintech firms and hottest rising stars, from mobile-first bank N26 and banking platform provider solarisBank, to insurtech firm Wefox Group and blockchain hub Trust Square. Valentin Stalf is the co-founder and CEO of N26, a mobile-first bank in Germany. 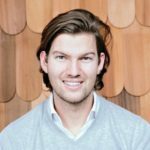 Stalf has been a member of advisory board at N26 Bank since July 20, 2016. Before N26, Stalf was an Entrepreneur in Residence for Rocket Internet, an incubator and investor in online startups. There, he helped to develop several companies in the mobile payments industry, including payleven and Paymill. Stalf has also worked in a number of fields including strategy consulting and investment banking/mergers and acquisition. 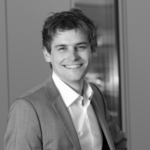 Alexander Graubner-Müller is the founder and CEO of Kreditech, a German online lender offering loans to individuals. Having led the tech-side of Kreditech as CTO for three years, he took over the CEO position in November 2015. Prior to founding Kreditech, Graubner-Müller co-founded and sold the prediction-market engine PredictX. Before this, he managed engineering and product development at Rocket Internet in Asia, and worked as a financial engineer with the research team at LGT Capital Management. 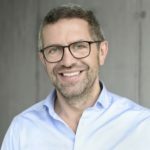 André M. Bajorat is the co-founder and CEO of Figo, a banking-as-a-service platform, as well as a member of the advisory board at FinLeap and Cringle. He is a specialist in fintech and publisher of the Fintech Blog. 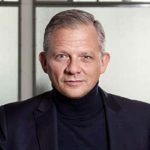 Before his work at Figo, he was the CEO at NumberFour, a technology startup, the director of Giropay, a German online payment system, and the director at Star Finanz, a provider of online banking solutions. Matthias Kröner is the co-founder and CEO of Fidor Bank, a leading neobank most recently acquired by the group BPCE. Prior to founding Fidor Bank, Kröner co-developed the first continental European online broker known as DAB Bank. In 1997, he was recognized as the youngest CEO of Direkt Anlage Bank at the age of 32. Tamaz Georgadze is the co-founder and CEO of Raisin, a marketplace for term deposits from partner banks across Europe. 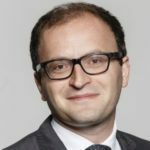 Prior to Raisin, Georgadze held a 10-year career at McKinsey & Company in Berlin, where he served as partner and provided consultation services for retail banks in Germany, Switzerland, Russia, Georgia and Vietnam. Prior to that, he served as aide to the President of Georgia in the foreign relations department and is currently an independent non-executive director at both Bank of Georgia Group PLC and JSC Bank of Georgia. 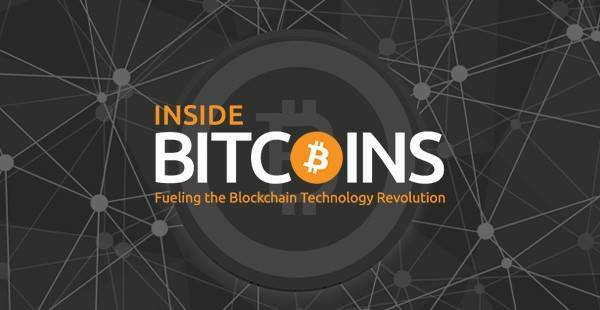 Marko Wenthin is the co-founder and chief commercial officer of solarisBank, a banking platform. 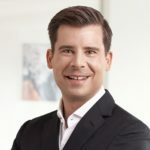 Before co-founding solarisBank, Wenthin was the managing director of Deutsche Handelsbank specializing in lending to Internet companies and providing payment solutions to both on and offline businesses. He was also the CEO and founder of GroupPlatina where he created Sofort Bank, the banking sister of sofortueberweisung.de, Germany’s largest e-commerce payment provider. 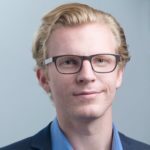 Julian Teicke is the founder and CEO of the Wefox Group, formerly FinanceFox, an online insurance management platform that facilitates communication between insurance brokers, insurance companies, and customers. Teicke is also the co-founder of DeinDeal Home&Living, a leading e-commerce company in Switzerland, which was sold in 2015. 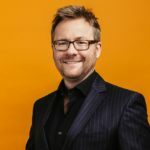 Christopher Oster is an entrepreneur and strategic leader with a proven track record in different industries and a focus on fintech, online marketplaces and e-commerce. He is the co-founder and CEO of Clark, a digital insurance platform, and the co-founder of Wimdu, an online platform for private accommodation. Beforehand, he worked several years as a business consultant for The Boston Consulting Group in Germany, the Middle East and Australia where he advised financial institutions and retail companies. Jens Woloszczak is the founder and CEO of Spotcap, a leading online lending platform for SMEs. Woloszczak is a fintech entrepreneur and ex-management consultant at McKinsey & Company specializing in the financial services industry. He holds a degree in industrial engineering from the Technical University of Berlin and studied finance at Cass Business School. Felix Haas is the co-founder and executive chairman of IDnow, an online solution for online identification of government IDs in Europe. He is also the co-founder of several other startups and ventures including UnicornPitch, a pitch desk design and business consulting service for startups, and a founding partner of 10x Group, a group of serial entrepreneur investing in founders of digital startups in Europe and the US. He is the co-host of Bits & Pretzels, a founders festival in Germany, and a business angel in more than 90 European and US startups including Kreditech, Käuferportal, Delivery Hero, RecargaPay, Properly and Iwoca. Haas was named a World Economic Forum Technology Pioneer 2010, and is a NYC Venture Fellow by NYC Mayor Bloomberg and an advisor to the German Vice Chancellor for the Young Digital Industry. 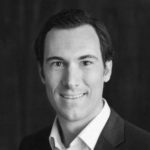 Joël Winteregg is the co-founder and CEO of NetGuardians where he both guides innovation of the company’s core solutions and drives business development, with a focus on Europe and Africa. Winteregg has almost 10 years as an entrepreneurial business leader and a solid experience in R&D and in software engineering, including as a security specialist. 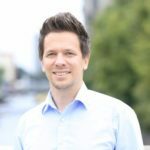 Ralf Huber is the co-founder of Apiax, a leading regtech startup from Switzerland. Huber has over 16 years of legal and compliance experience within the financial industry, starting his compliance career at Zürcher Kantonalbank then Credit Suisse both in Switzerland and abroad. He is also the founding member of the International Regtech Association and president of the IRTA’s Swiss chapter. 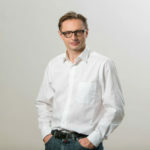 Mathias Wegmüller is the co-founder of Qumram, a software for cross-channel intelligence and compliance. 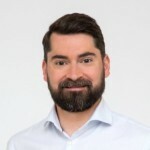 Wegmüller led the company in different roles including CEO, head of business development and sales, until its successful exit and trade-sale in November 2017 to Dynatrace. He is an accomplished entrepreneur and digital transformation advisor. He has specialist experience working with mid- to large-sized businesses, facilitating the effective execution of digital engagement initiatives. Daniel Gasteiger is the founder and CEO of Procivis, and the co-founder of Trust Square, Verum Capital and Nexussquared. Nexussquared is a Swiss blockchain business and startup platform, Procivis is developing a digital identity and e-government product leveraging smart phone and blockchain technology, Trust Square is a blockchain startup and research hub located in Zurich, and his latest venture, Verum Capital, is a blockchain and ICO advisory boutique in Zurich. Gasteiger is an entrepreneur with over 20 years of practical managing director level banking experience at Credit Suisse and UBS. 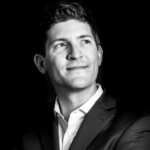 Marc P. Bernegger is the founder and partner of Bernegger Ventures, a private investment company, and the co-founder and chairman of CryptAdvice, a firm helping companies conduct compliant Swiss ICOs‍. 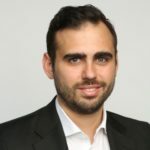 The Swiss-based web entrepreneur and fintech investor, is known for founding usgang.ch as well as Amiando and for promoting entrepreneurship and fintech in Switzerland. 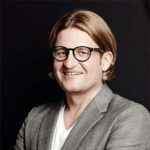 Bernegger has been an active investor in several startups and serves on the board of multiple companies including FinLeap, Falcon Private Bank and Crypto Finance Group. In 2013, he co-founded Finance 2.0, the first fintech conference in Switzerland. Bernegger was named one of the 100 most successful people under 40 in Switzerland by BILANZ., and one of The 100 most influential technology investors in Europe by Telegraph. 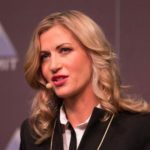 Olga Feldmeier is the founder and CEO of Smart Valor, a Swiss blockchain company building a decentralized marketplace for tokenized alternative investments. 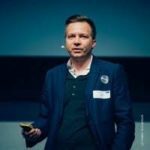 Feldmeier is a founding member of the Crypto Valley community, and is the producer of several blockchain conferences in Switzerland. She is also a mentor at Kickstart Accelerator, and regularly delivers talks at conferences and universities about bitcoin and blockchain. Feldmeier was named one of the Top 100 Digital Shapers by Bilanz, and one of the top 100 Women in Fintech Powerlist (UK). 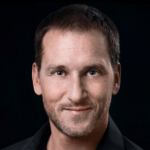 Andreas Kern is the founder and CEO of Wikifolio, a leading social trading platform from Austria. Kern is also the co-founder of payolution, an online platform that provides payment solutions for retail and travel businesses. Prior to Wikifolio and payolution, Kern worked at paybox Austria and One Bank. Harald Meinl is the co-founder and CEO of Baningo, a Vienna-based fintech startup that offers a browser for finding online banking advisors. 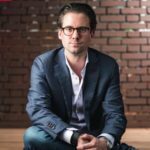 Meinl was named one of the Top 30 Fintech Influencers in Austria 2017. He holds a Master of Law and Economics (Salzburg, Amsterdam) and has over five years of experience in banking and financial services. Daniel Strieder is the co-founder and CEO of Credi2, the fintech startup that operates cashpresso, an all-in-one consumer financing platform. Prior to Credi2, Strieder was the financial director of payolution, and worked at Raiffeisen Investment and Bedminster Capital Management. The post 19 Influential Fintech Founders in Germany, Austria and Switzerland (DACH) appeared first on Fintech Schweiz Digital Finance News – FintechNewsCH.